Mauro is a great guide. He is very knowledgeable and friendly. He set up a great lunch and wine tasting for us on the slopes of Mt Vesuvio and a guide in Pompeii. He drove us from Rome to Sorrento with comments on history the whole way. 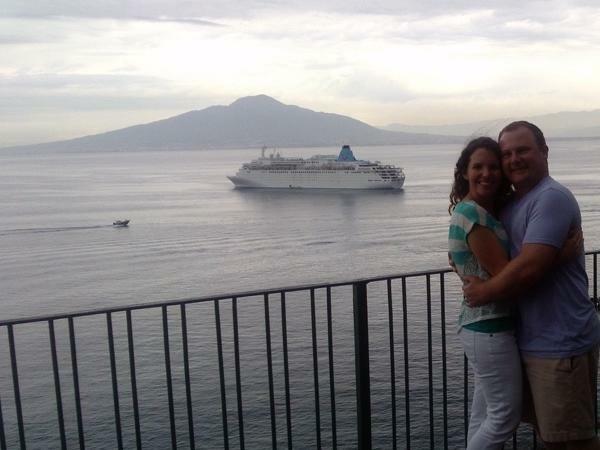 When we got to Sorrento he took us to the hotel to drop our bags and then showed us around Sorrento. He has a very nice Mercedes which was the perfect way to travel. Next time in Italy we will use him again. TOUR GUIDE RESPONSE: Hi Michael, Grazie for your kind review. I'm so happy that you enjoyed the day I planned and look forward to your return to see more of my beautiful country.